The government hopes to have these resources in place by September so that the new system can be rolled out in time for the tourist season. Implementation of Wednesday’s decision hinges on boosting infrastructure and staff at immigration counters across airports, officials said. The Government Wednesday approved an ambitious plan to extend visa-on-arrival facility to almost all countries barring a handful categorised as “sensitive” due to the security risk they pose. The move aims to make it easier for tourists to visit India and has been extended to 180 countries. Pakistan, Sudan, Afghanistan, Iran, Iraq, Nigeria, Sri Lanka and Somalia are eight countries that have been kept out of the list. The Sunday Express had reported on February 2 that the government was set to take up this proposal after intelligence agencies had finally given their consent. Implementation of Wednesday’s decision hinges on boosting infrastructure and staff at immigration counters across airports, officials said. The government hopes to have these resources in place by September so that the new system can be rolled out in time for the tourist season. 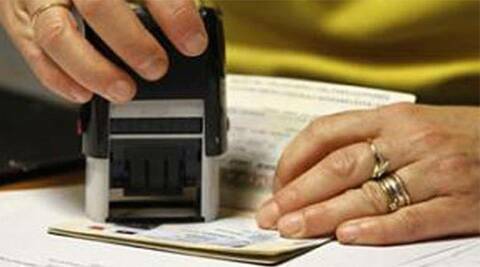 At present, India extends visa-on-arrival facility to 11 countries including New Zealand, Japan and Vietnam. Minister of State for Planning and Parliamentary Affairs, Rajiv Shukla, said the proposal had been cleared at a Planning Commission meeting attended by Deputy Chairman Montek Singh Ahluwalia, Foreign Secretary Sujata Singh and top PMO officials. “It is a major move and we hope it will boost tourism in a big way. We hope to implement this from the next tourist session beginning October,” Shukla said. While Indian intelligence agencies had been resisting the relaxed visa regime due to security concerns, they have now agreed to the proposal. The move is expected to usher in a major revamp of India’s tourist visa system. The model likely to be put in place will do away with the need to visit an Indian mission but will require tourists to make an online application before their departure. The Bureau of Immigration will set up a website for this and upon submission of an application, it will email an electronic visa/travel authorisation within 2-3 days, allowing the tourist to enter India and also facilitate easier verification at airports.